We are committed to ministering to children by providing them a safe and nurturing place to learn and grow surrounded by God’s love. Harmony’s Children’s Worship is designed to provide a meaningful worship experience for younger children attending church on Sunday mornings and is offered during both services. 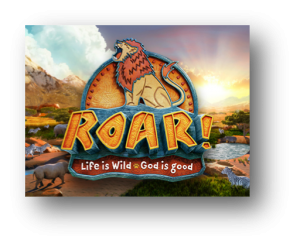 We provide interactive stories, crafts, and games that follow the liturgical calendar as well as sermon topics to help children learn and grow in their Christian faith. Children’s Worship is staffed with loving, dedicated volunteers within our congregation. Harmony UMC is dedicated to the spiritual enrichment of our children and youth. At Harmony, we recognize children learn best by doing. For ages K through 5th grade, we use the All-In-One Sunday School by Group Publishing. This curriculum involves active challenges, storytelling and play that are melded into learning experiences with carefully crafted questions to help kids tie Scriptural truth into their own lives. A long standing tradition at HUMC is to present our third grade students with their own Bible. These kids then have the opportunity to learn to use their Bibles in Sunday School. Harmony’s Nursery provides loving Christian child care for both services as well as the Sunday school hour on Sunday mornings. Our nursery is staffed with CPR and First Aid Certified employees that nurture our youngest Harmony friends. Nursery and child care are also offered throughout the year during special events as advertised. Kids With Purpose (KWP) is in its 7th year here at Harmony! KWP is a service project group for elementary aged kids that meets real needs in our community. We meet weekly on Wednesday’s at 4:15-5:15 pm at the church or out in the community serving organizations such as Loudoun Homeless Services, Mobile Hope, and Loudoun Animal Services. 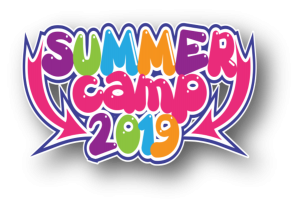 At Harmony Summer Camp, our mission is to create a loving and safe environment where children feel confident to participate, discover, and grow. We provide a weekly theme-based camp where Children (Rising Kindergarten – rising 5th grade) can explore a new topic. Our themes include Lego Building, Art, and Fitness. Camps are from 9am to 12pm. $70 per child, per camp. Please register each child separately! A photo release form can also be found below and MUST be printed, completed, and returned by the first day of Camp. The purpose for VBS is to help children in our community learn to love and know God better so that as they grow they will live lives of service and sharing with others. Harmony VBS has many adult and youth volunteers that help make it a very special week for the kids in our community. Children age 4 (must be potty-trained) – rising 5th grade can participate and older children and youth are given opportunities to volunteer. VBS is from 9am to 12pm. Adult and Youth Volunteer Registration forms can be found below. Please print, complete, and return to the church. Beginning in 2016, Harmony joined with Mount Zion UMC to invite the community to an Easter celebration at Hamilton Park. We have a really fun Easter egg hunt, crafts, and pictures with the Easter Bunny! We even have lambs and baby chicks to hold. Harmony families celebrate the first Sunday of Advent with an evening meal and beautiful keepsake crafts including a traditional Advent Wreath. We also participate in a family cookie exchange at this special celebration. The Children of Harmony gather every year to celebrate the birth of Jesus with an adorable nativity play. Children young and old enjoy dressing up and acting out the different parts of the nativity as well as singing beautiful Christmas Hymns. Each year near Halloween, families gather in the church parking lot to decorate their trunks with child-friendly themes. Children and their parents can roam through the parking lot collecting candy and toys while they are dressed in their Halloween costumes.